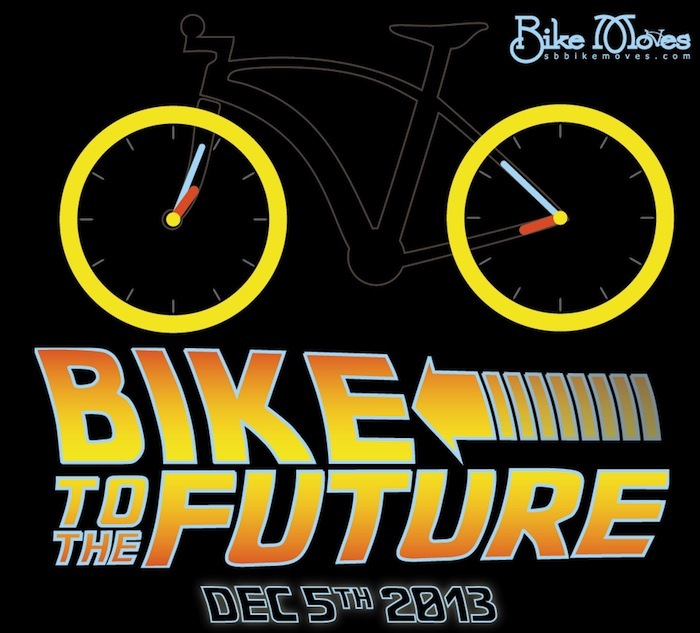 Bike Moves takes you back to the future, today December 5, 2013! Bring your flux capacitors down to start our journey, 7:30pm at Plaza de Vera Cruz, in downtown Santa Barbara.Look out for a 1.21 gigawatt two wheeled DeLorean at Bike Sumo on the pier.When we hit 88mph or 9:30 pm (whichever happens first) meet at Bici Centro, 506 E Haley St for theConnecting Our Community kick-off party. Enjoy Telegraph beer, wine, and DJs to celebrate the end of the year in the Bike Moves tradition. With your support, SBBIKE’s Connecting Our Community campaign will establish Santa Barbara as the national leader in bicycling, bringing safe bicycling infrastructure throughout our community. While maybe in the future it will be possible to be two places at the same time, tonight I’m teaching until 6:45pm, then I’ll grab a quick bite to eat with my family, and head to downtown Ventura for the 7;30pm poetry reading featuring Catherine Dain. Several of my students will be joining me; more will be coming out December 12 to hear Paul Willis and to read in the open mic. And next semester I will be missing out also–I will be teaching two classes on Tues/Thurs, the first at 430pm and the second starts at 7pm. Maybe in June? However, there is the possibility of another Ventura SantaCon on bicyles…stay tuned for details! 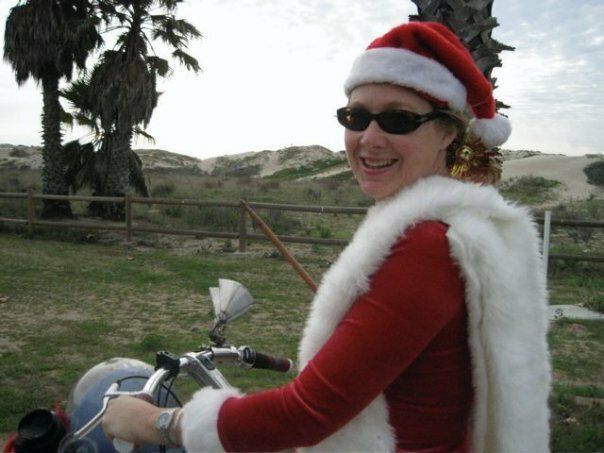 And tomorrow in Ventura is the Christmas Ride 2013: Dress with Holiday flair & Ride to the Christmas tunes of “Trans Siberian Orchestra” & “Manheim Steamroller”! Since Zoey’s is closed, meet at 6:30pm. 660 North Olive St. Ventura, CA for a ride down Olive St. to Main St then do a parade lap up Main St. just past Chestnut St. then head back down towards the Ave. Stops at The WAV, Bell Arts and Stoneworks. Additional stops depending on what’s going on downtown. 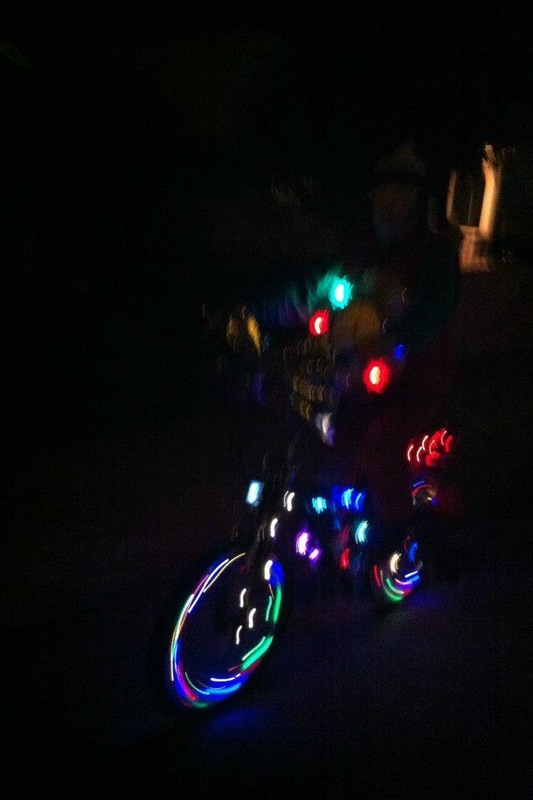 And remember–Be safe and light your bike! Sounds like an event right up my alley! Yet another reason to move back to CA!